Looking for fall decorating ideas? 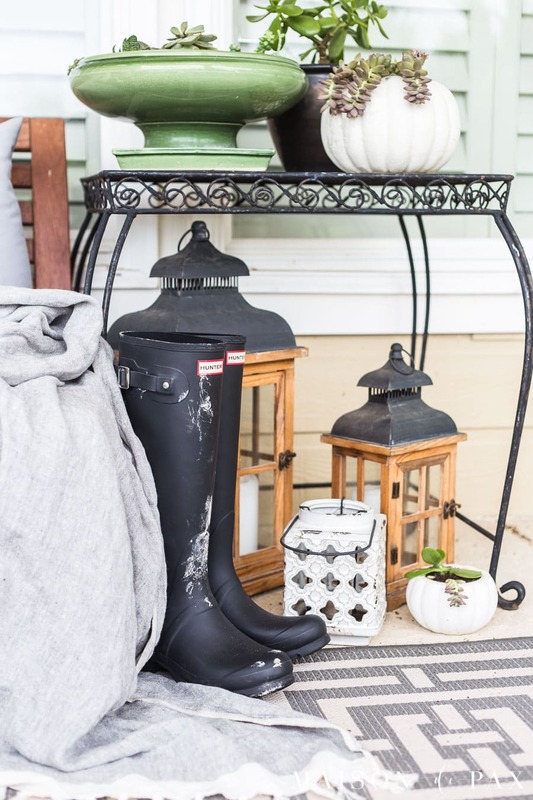 Find black and white fall porch decor ideas including succulent pumpkins and more! This past weekend, fall finally fell. By that, of course, I mean that we finally had one solitary day where it didn’t quite reach 80. Today, however, it’s supposed to be back up to 90… What’s a girl to do? 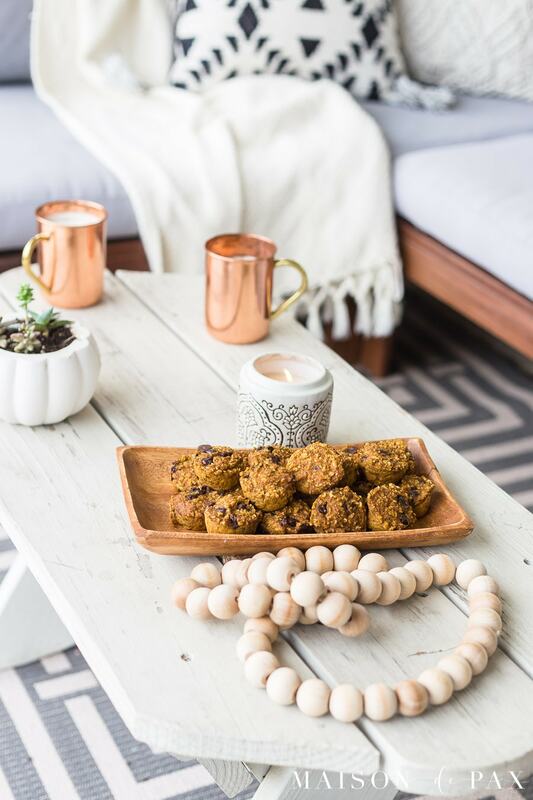 I’ve decided this year to embrace the never ending heat and keep my fall decor simply an extension of my summer decorating. I showed you how I did that in my family room last week, and here’s a look at my black and white fall porch decor. This post contains affiliate links. Click here to read my full disclosure. If you remember, I complemented my black and white porch with ferns and succulents this summer… And they’re all still going strong (thanks to my special watering trick), so I brought back my succulent pumpkins (get the full instructions here to make your own!). 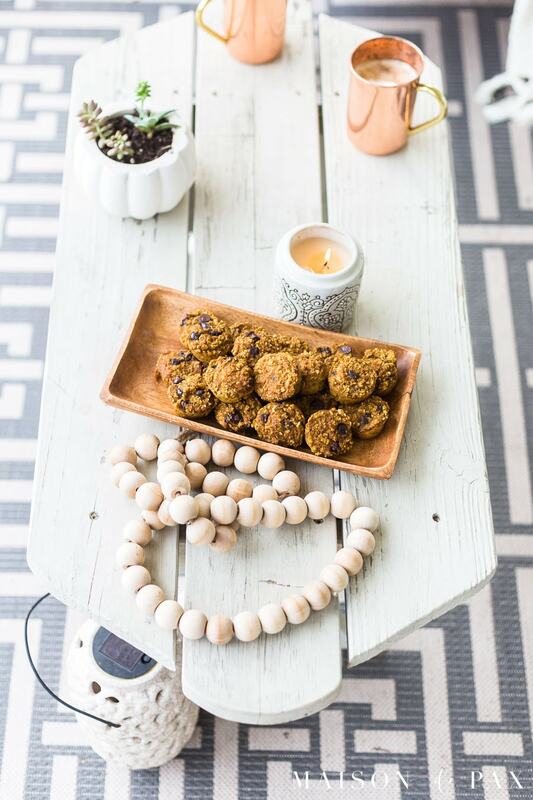 And naturally, my little helper and I had a little party to enjoy our favorite gluten free pumpkin muffin recipe. And pin it for later! 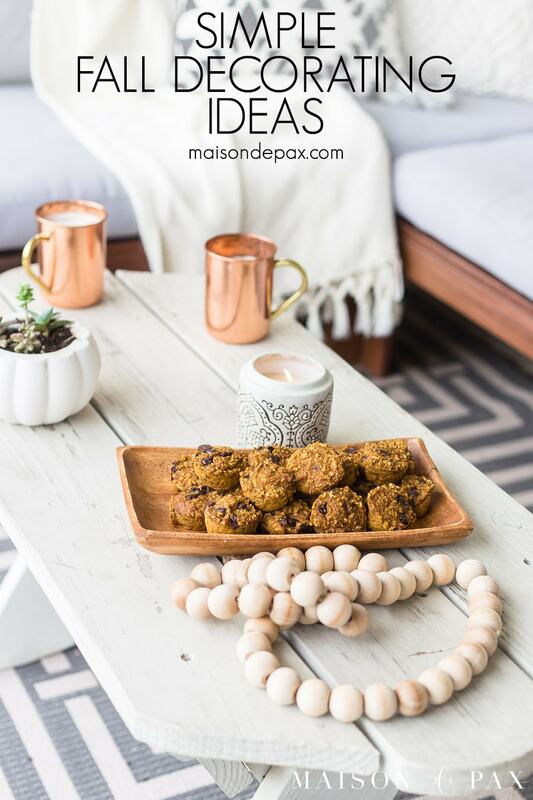 Plus I’m so excited to share that Krista from The Happy Housie has gathered some amazing bloggers to share their fall porches today. So visit the links below for tons and tons of decorating ideas and inspiration! 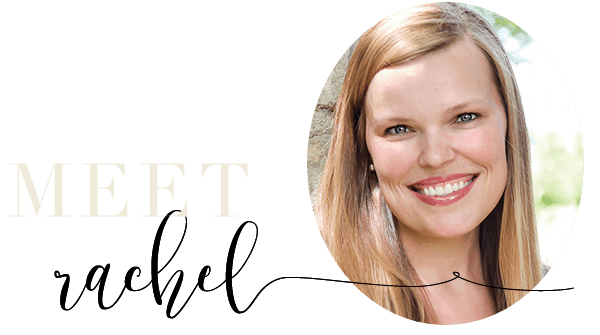 Rachel, I always love when you share this space and it looks just perfect for fall. Your little model is pretty darn cute too!! Thank you! She’s quite a ham in front of the camera. So, so beautiful, friend! 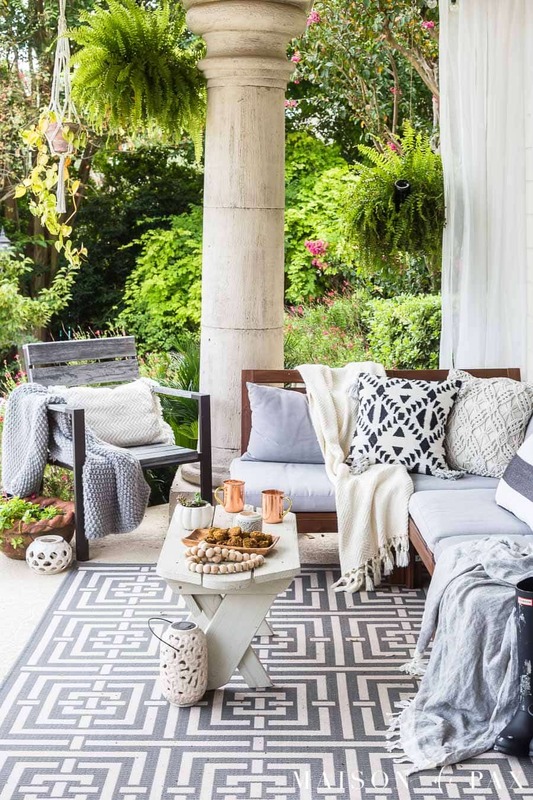 Wish I could come over and have a tea with you in this gorgeous outdoor space! Thanks for joining in on this hop! That would be SO lovely, Krista! Thanks for hosting us! 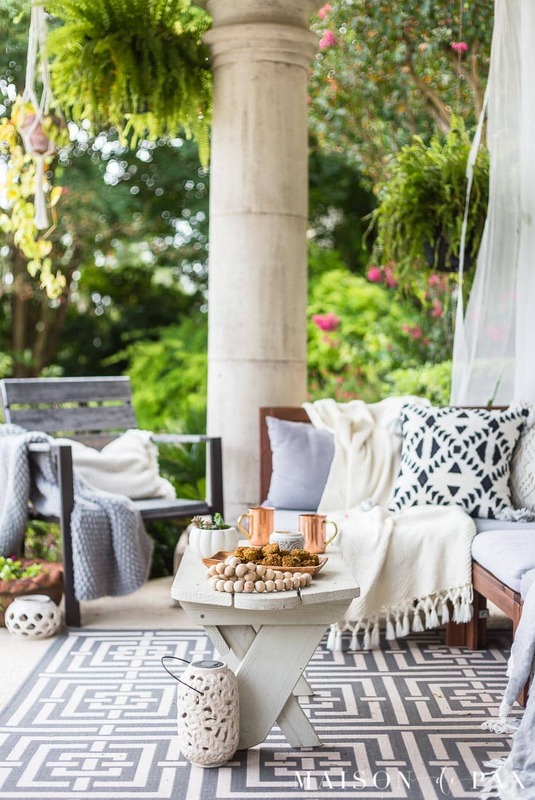 Your patio is just beautiful decorated for fall! And I have to try those pumpkin muffins! Yum! 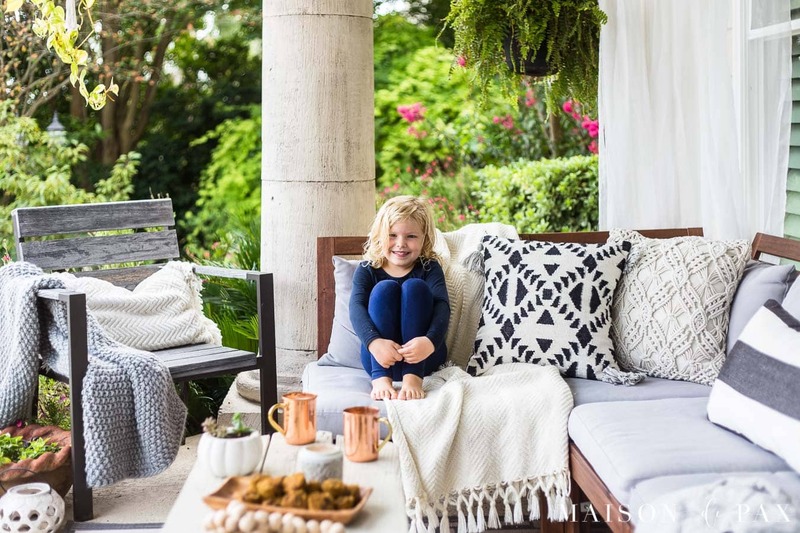 Rachel, your outdoor space is so cozy! 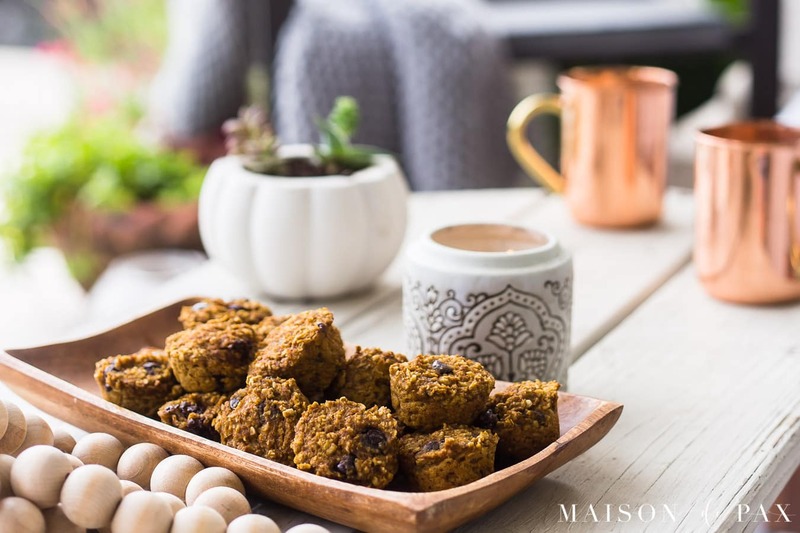 I love the simple style, and those pumpkin muffins look delicious 🙂 Hope you are enjoying these weeks when summer and autumn meet. It seems we go back and forth each day where I live! Thank you! More summer than autumn, but I’ll take the cooler days. I just adore your home from every single angle. Such a gorgeous space! Love all of the different patterns and textures. Such a gorgeous spot, my friend! The idyllic place to hang out! (And I can’t believe how BIG Miss J looks! Such a cutie!) Hope you’re having a wonderful week! Rachel your patio is SO gorgeous! 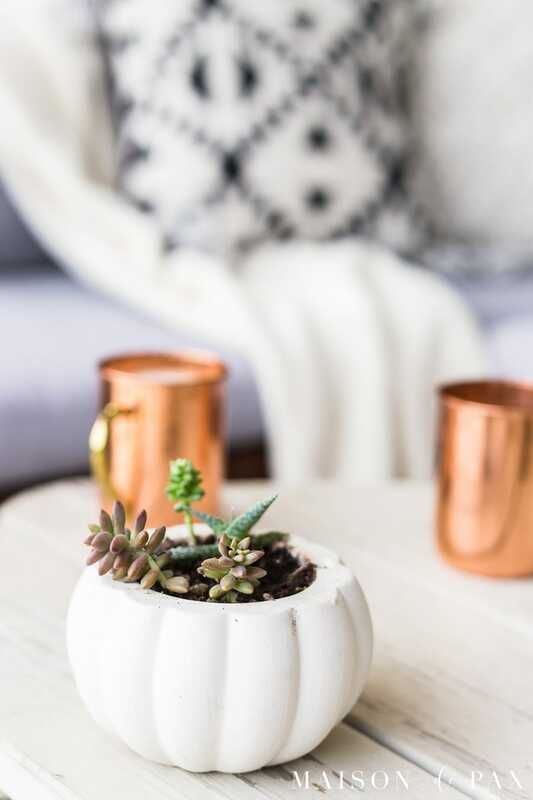 Love your subtle fall touches on the porch and the succulent pumpkins are adorable! Hopefully it will cool down soon (once can wish!) Thanks for stopping by Sheila! What a perfect space to enjoy into the fall! I always love your outdoor decorating ideas Rachel! Thank you Jo-Anna! I hope you are enjoying fall! 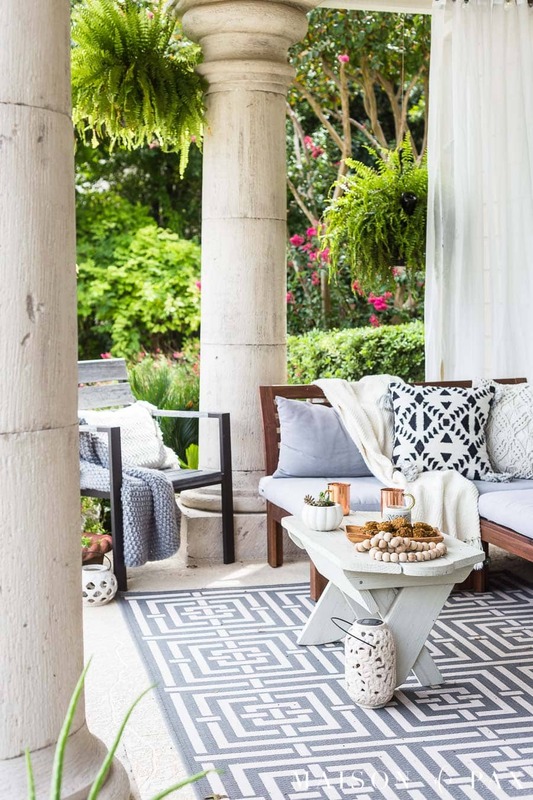 Rachel, I always admire , that outdoor space, you created such a cozy seating area!!! Thank you! I love being outside when the weather isn’t too hot! 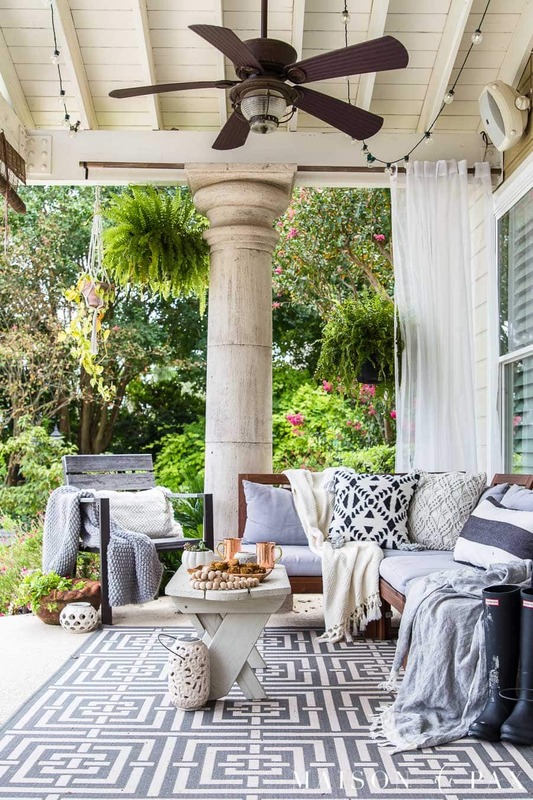 Your front porch furniture is gorgeous, and that decor it’s stunning I love how well everything goes together. What a kind thing to say. Thank you! !